why so serious?. . HD Wallpaper and background images in the 小丑 club tagged: batman the dark knight joker heath ledger wallpaper the joker. This 小丑 wallpaper might contain 红卷心菜 and 红球甘蓝. 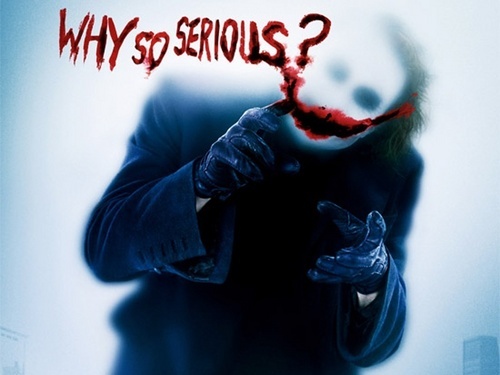 I have two posters of the "Why So Serious" picture, and they are awesome! Did the sAME whit my mirror! !